Best Travel Backpack (2019) How To Pick A Carry On Backpack? How To Pick A Carry On Travel Backpack in 2019? Head off to the travel section of Kickstarter and you will soon find 100s if not 1000s of innovative carry on travel backpacks being funded each month. Each with their own amazing new features, catering to a different kind of traveler! Sometimes browsing the travel section of Kickstarter makes me feel like a little kid in a candy store. Who am I and Why Take My Recommendations Seriously? Hey, I’m Jeremy! I’ve been living out a single backpack for the past 2 years so when it comes to picking a new one, it’s a huge deal. I travel the world full time working online. 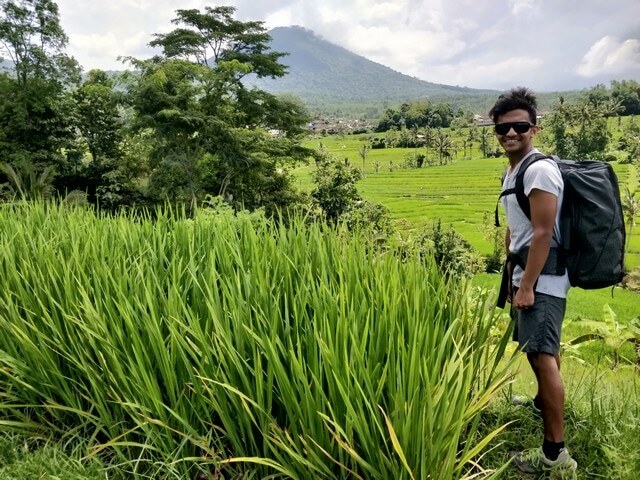 I’m the head of SEO and organic growth at Foundr magazine (Foundr.com) but I work remotely and spend most of my time doing stuff like climbing volcanos, diving to the bottom of the sea and I’m always on the move. Having the right backpack can make doing all much easier. Right now I’m using the Nomatic Travel bag which you’ll understand why it’s my top pick later in this article. This is downright the most interesting Kickstarter I have come across in a long time and my new backpack! 😀 The Nomatic travel bag raised over $3M on Kickstarter and for good reason. Nomatic believes that they have solved all the issues that exist with most of the carry on travel backpacks on the market. If you are a digital nomad like me, the Nomatic travel bag might just be your new carry on travel backpack! Their accessories and wallets are a great add-on to complete your travel gear collection. 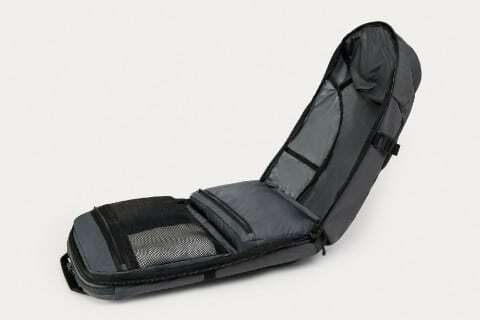 I personally got myself a vaccum bag as it makes packing so much easier. 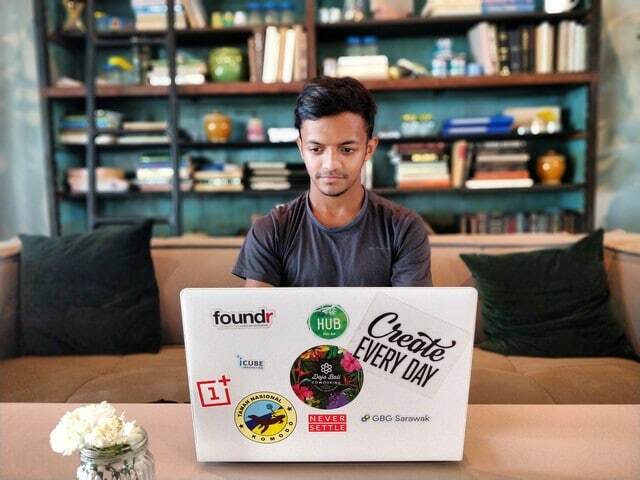 Exclusive Discount for My Readers: Click here to go to Nomatic and use my discount code “NORONHA20” to avail a FLAT 20% off from your Nomatic purchase. Do you still have doubts about getting a Nomatic Travel Bag? 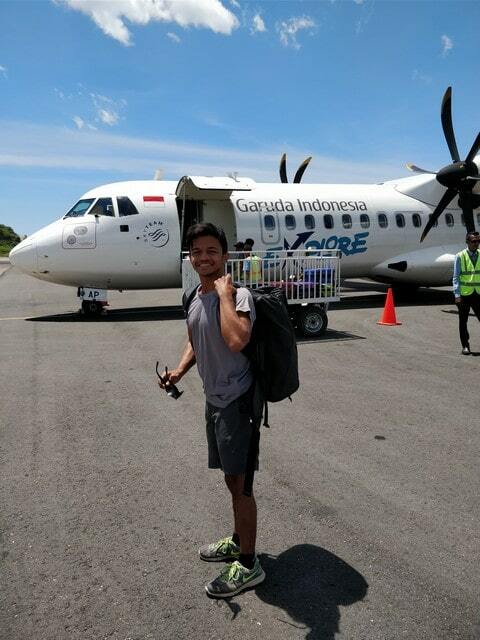 How about reading my in-depth Nomatic Travel Bag review, where I biked a 1000km long island in Indonesia and even went hiking with this backpack! Tortuga started when 2 friends were backpacking Europe in 2009 and didn’t like how the luggage industry was incredibly ill-suited for daily city life. Tortuga was started to solve this problem, by building bags that they would be proud to use! 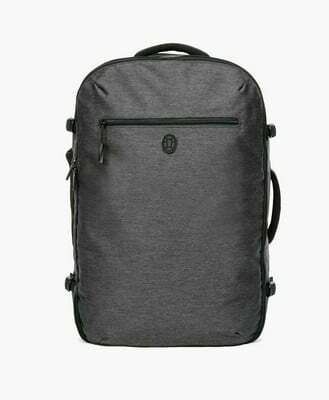 The Tortuga Outbreaker Backpacker is the latest backpack towards that vision of making the perfect small carry on travel backpack. It was even named the best carry on travel backpack in 2017 by Wirecutter! The belt comes with a padded hip belt that makes it incredibly comfortable to carry around when pairing with the suspension system and padded shoulder pads. Tortuga released the Setout backpack at the end of 2017 and it’s an amazing update to the great backpack lineup by Tortuga. 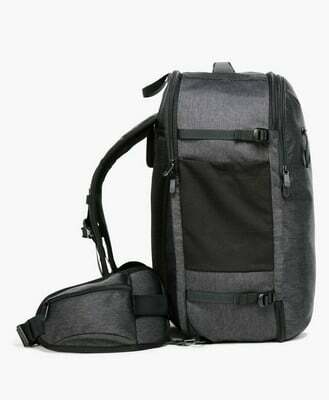 It comes with a capacity of 45L as well as 35L and is the maximum carry-on size. The New Tortuga is the result of nearly seven years of testing, listening to their community, learning, and improving. 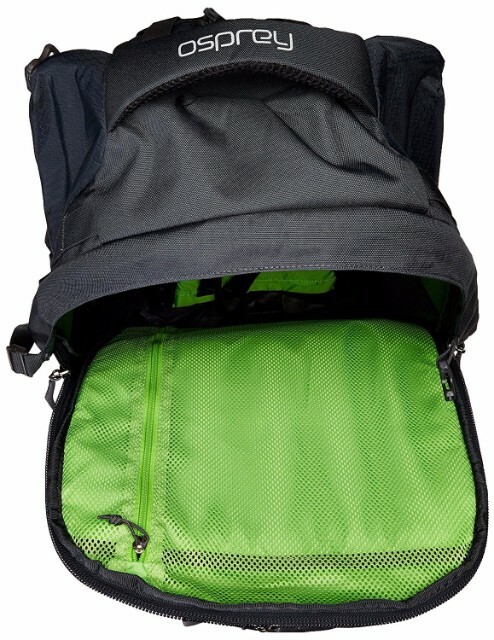 A great fact is that it’s the same price as the original Tortuga backpack, only $199! It can fit a 15″ Laptop as well as a 9.7″ Tablet. It’s made of polyester that has a water-resistant coating so that you can carry on even during the slight drizzle you might experience. Other worth mentioning features include Front loading, padded and removable hip belt, hideaway shoulder straps and weather resistance. The black & navy colors are made of recycled water bottles. 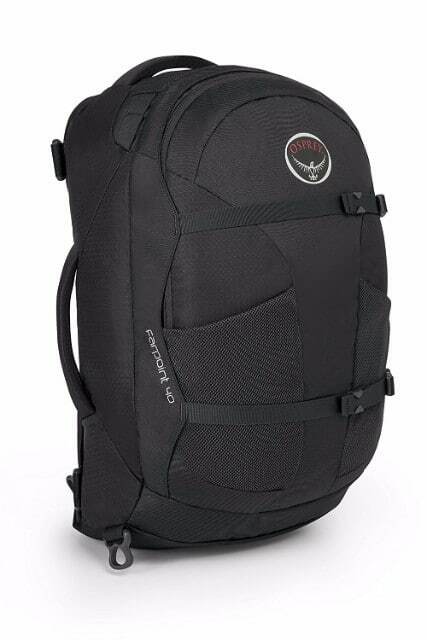 Enter a backpacking hostel and it won’t be long before you see someone with an Osprey Backpack. Other models are popular as well and are listed below but the Farpoint is one of the best picks and they come in all sizes from 40, 55, 70 and even 80 Liters. My recommendation is the 40 liters as you can carry it on a plane, the 55 liter backpack which is popular among people taking a gap year and it does have a zip off day pack attached to the front which you could carry on if you want! At 22″ x 14″ x 9″ and padded shoulder straps and a light-frame wire suspension the 40 Liter Farpoint is a great bet for most people. With 4.7/5 stars rating on Amazon, it’s hard to go wrong with an Osprey Farpoint. This company started out as a project on Kickstarter and now makes one of the best carry on travel backpacks I’ve seen on the market. The first Carry-on Version launched on Kickstarter in September 2013 and surpassed its goal by $300,000+ and is now sold out. They came out with an updated version called Carry on 2.0 last year! 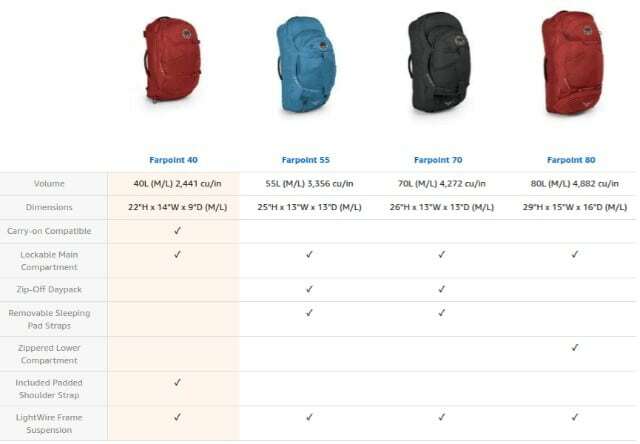 It’s a little more expensive when compared to the other bags on this list but you do get your money’s worth with Minaal and would definitely recommend it for the long term travelers or for someone like me who lives out of a backpack. The New Carry on 2.0 is my next backpack so I can’t recommend this backpack enough to digital nomads or long-term travelers. The major factors that made me pick this backpack is the fact the great accessibility as you can have a full-length zipper, as well as amazingly comfortable. The backpack straps can also be hidden away carried around with a single arm. 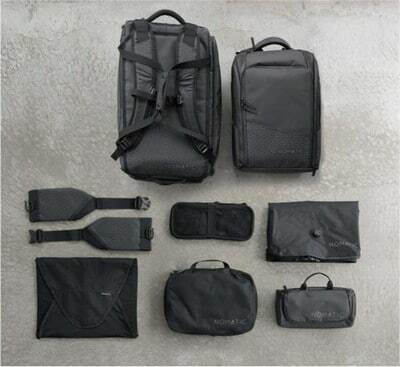 The New Daily Bag & Carry-on 2.0 raised more than $700,000 in their second Kickstarter. Here’s another one from Osprey! 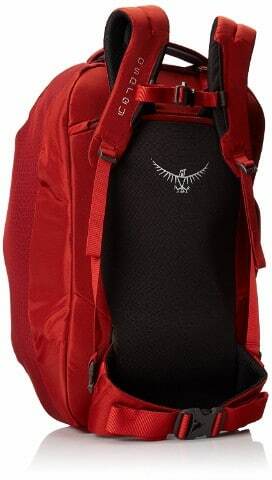 The Osprey Porter is a 46-liter backpack with a removable day-lite pack in the front! With top compartments and panel load access, the Osprey Porter is one of the easiest bags when it comes to accessibility! 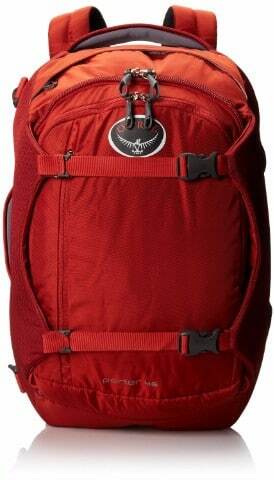 The Osprey Porter is a great fix if you need a little more space and want a sturdy carry on travel backpack but don’t want to get one of the big hiking backpacks. The bag comes with a technical pack suspension built-in and you can unzip the back-panel and get access to a padded mesh shoulder harness and a hip belt suspension which makes it comfortable to carry it while on a hike or a walk. With 4.7/5 stars on Amazon with over 400 reviews this bag is loved by many! 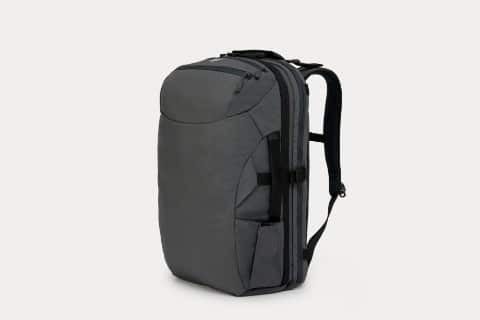 There are many factors to consider when picking a bag, your choice in a carry on travel backpack will depend on your style of travel and also your packing style. For some people, a 70 Litre bag might be too bulky while for others it might be too small. Why A Carry On Travel Backpack? As I was writing this article in a cafe in Bali a couple at the table right next to me asked to borrow the phone of the waitress so that they could call the airport to check up on the update on their lost luggage and were in a fury as they didn’t have any spare clothing. If that didn’t convince me that I have to sway all of you away from the dark side to the light side (pun intended) of airline luggage. Traveling with just a carry on a backpack is always a safer and thus a better choice. However, I’m not going to lie to you; there are some downsides. 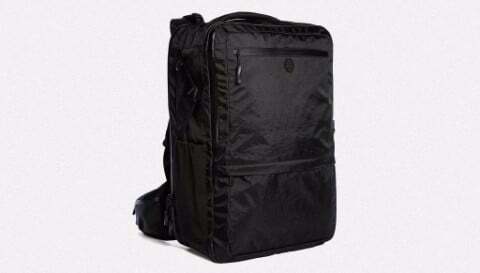 Size: Right off the bat, Size is one of the most important factors when it comes to a carry on travel backpack. One reason is that the size of your carry on travel backpack, will influence your strategy when it comes to packing, I always tell people to start off with a tiny backpack as it’ll force them to pack light. 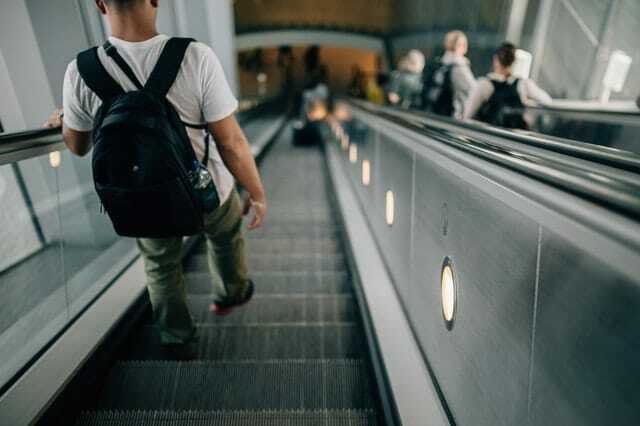 Not only must your backpack fit the dimensions of the airlines (usually 22″x14″x9″) but the size and dimensions of the backpack is something to keep in mind when it comes to placing your backpack under your seat or in the overhead cabin. Weight: Usually 7kgs for budget airlines and more for others but the weight of your baggage can be an issue at times. Especially if you are late for the flight and have to run across the airport. Note: You can almost always flirt your way through if you bag is just a little over the weight my bag weighs around 8kg but no air hostess ever stops me from taking it on. The issues I have with many trekking and hiking backpacks I have used in the past are that the metal frame increases the weight of the bag, exponentially! While the metal frame does provide comfort while climbing a mountain, it isn’t really convenient for daily life. Accessibility: When it comes to security you are going to have to remove your laptop and place it in a different tray along with your toiletries. This can be easy if your laptop is in a different compartment that can be opened up like the Tortuga Outbreaker Backpack. How easy is it to get the things you want in your backpack? You don’t really want to have to remove everything in your bag just to get your toothbrush which you accidentally put at the bottom. Comfort: How comfortable is it to carry your travel backpack? Does it have a hip-belt to make those occasional long walks a little more comfortable by taking the weight off your shoulder and onto your hips? Comfort is a huge factor while picking a backpack. Why a carry on travel backpack vs a roller bag? This is actually something that’s going to depend on your style of travel. If you are just going to be airports and hotel lobbies, then it’s not really a bad idea to travel with a roller bag especially if you have back injuries and would rather not carry a heavy backpack, that being said even if you roller bag is carry on compliant they’re some downsides to it. 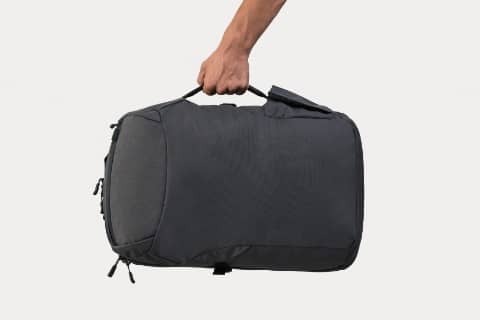 If the plane is overfull and they have to remove a little luggage from it, your roller bag will most likely be the first one asked to be put in the hold before any backpacks. Now, something like that is super rare but why risk it? Just travel with a carry on backpack. Also, backpacks give you so much more free mobility thus making it easy to move around. Also, you look less of a target for crime as you look less of a tourist (unless you are lugging around a massive backpack) but that’s a whole other story. 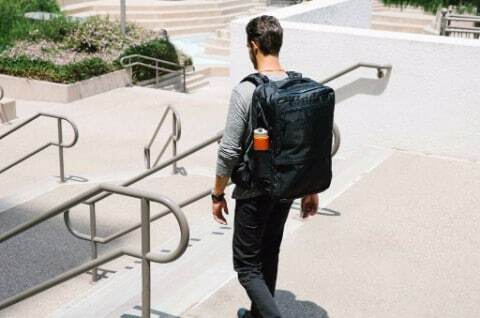 A carry on backpack or traveling with a suitcase; The never-ending debate as old as the “traveler vs tourist” crap, I normally recommend carry on travel backpacks, that’s why this article is titled “Best Carry On Travel backpack 2019” and not “best travel suitcase 2019” however they are times when I would actually give you a pass for traveling with a suitcase. If you are going to go to a new country and you want to do a lot of shopping, carrying a ton of backpacks won’t work and you are better off traveling with a suitcase like my parents do when I go pretty much anywhere. If you are heading for a conference and not really going to do much traveling and just going from the airport to the taxi to the hotel lobby. Volume: Every backpack on the market spends so much time trying to advertise their volume. The volume part is the most unregulated part of the backpack and there’s no industry standard so it’s just a vanity metric that can be gamed easily. “True volume” is the exact amount that you can pack in your backpack because the volume of the material of your backpack isn’t that important to you. You care about the usefulness of your space and what you can pack in it. Front Loading: If you go hiking you will see a lot of hikers using a backpack with a large bag that opens at the top. Now it doesn’t take long to figure out how inefficient this is. If you accidentally left your toothbrush at the bottom of your bag you will now have to empty your entire bag just to get access to it. 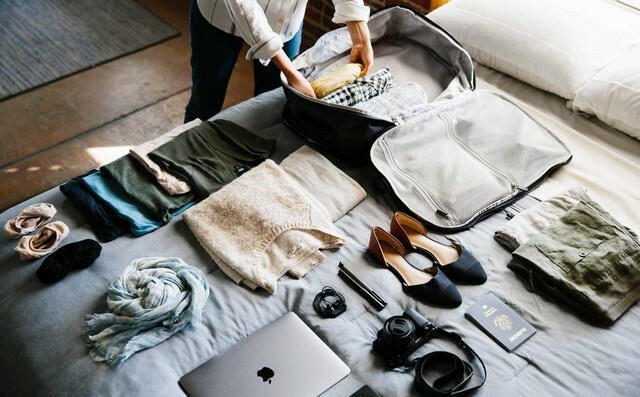 Most of the carry on travel backpacks mentioned in this list and on the market nowadays can with front loading which basically lets you open the bag from the front or back (in the case of the Nomatic travel bag) thus making access the core of your things so much easier. Weather resistant: If you are going to be traveling around where the weather maybe not that pleasant it helps to have a little water resistance so that you don’t have to have one of those ugly bag covers out the moment there is a tiny shower. I’m someone who bikes across countries every chance I get and I just did a 1500 km+ bike ride around East Nusa Tenggara in Indonesia so having my bag being resistant to ruff and tear along with water resistance makes a ton of difference. 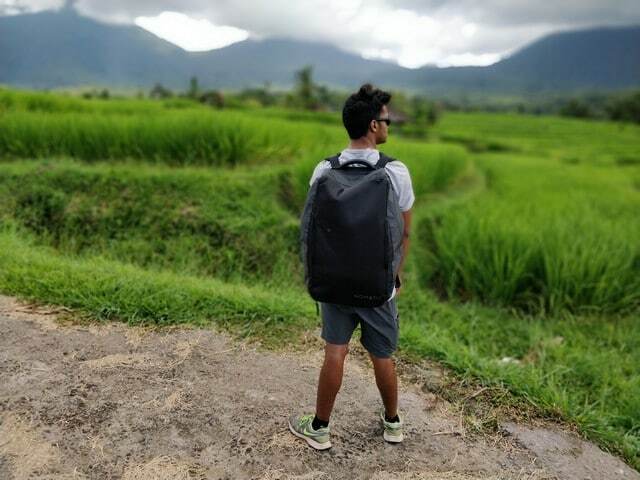 I hope that this list of the best backpacks for travel helps you pick a travel backpack that makes your travels incredibly comfortable. Let me know what you think about the suggestions in the comments below. Thanks for the heads up! Going to update the article to reflect that. Really informative article. After reading I’ve decided on the Nomatic 40L—is your discount code still active? It doesn’t seem to be working unfortunately. Hey Matt! Just reached out to Nomatic and they’ve cancelled the coupon code. No idea why, sorry about it!